Brits who still want to take a trip to the eurozone despite the weak exchange rates for sterling could find that taking a cruise holiday is their best option. According to a spokeswoman for the Passenger Shipping Association (PSA), people may find such a holiday ideal as they can still use sterling on the boat. 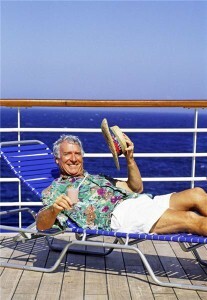 However, Brits should not leave checking their travel insurance policy until they are sailing away. Making sure that a holiday insurance policy is up to date may turn out to be as important as Brits' passports and holiday cash, should an incident occur which causes expensive consequences. Spokeswoman for PSA Penny Guy said that in the cruise sector, destinations such as Northern Europe and the Baltic are popular with travellers. "There's a lot culture in those areas and beautiful scenic views so they're drawing customers," Ms Guy commented. Figures from the PSA show that there has been a rise of 18 per cent in the number of cruise bed nights booked by UK passengers.